Your blog could be a huge revenue generating asset to your business. 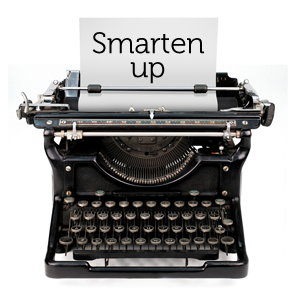 Your blog, could be smarter. When it comes to designing for conversions, you shouldn’t just stop at your landing pages or your website. You put blood, sweat and tears into your content marketing, your blog, with the right design, can lead to conversions as well. Start by deciding what your blog conversion goals are. Three of the most popular goals for any blog or business looking to make money with content marketing are: obtaining leads, building a mailing list, and promoting products or services. SEOmoz offers a powerful toolset for SEO professionals to use for keyword research, link building, on-site optimization, and much more. 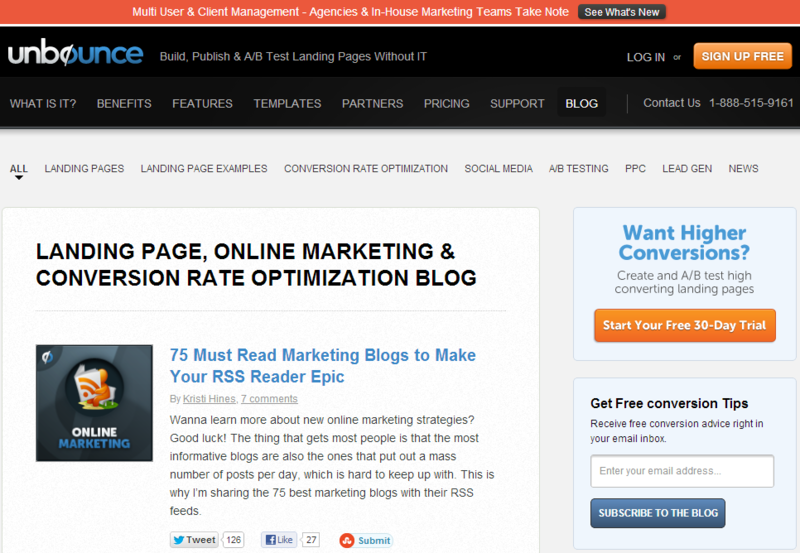 Notable conversion goals of the SEOmoz blog include the following. 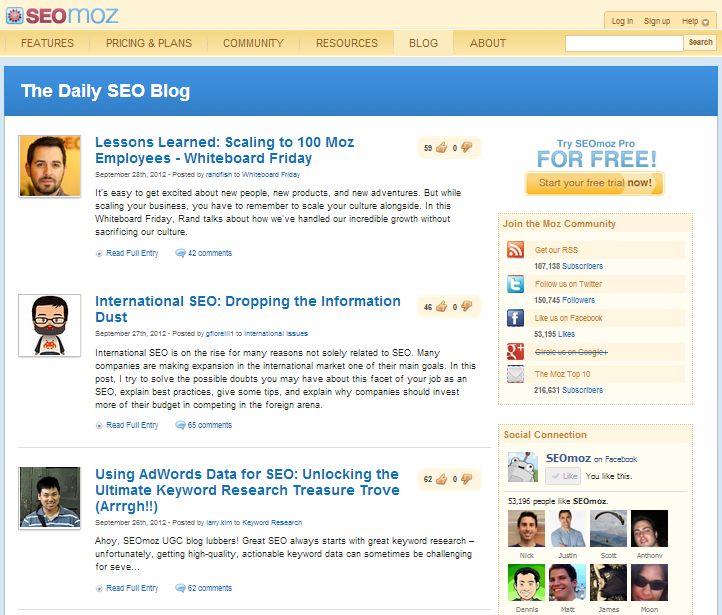 Drawing attention to the SEOmoz Pro toolset. Encouraging people to join the SEOmoz community. The navigation bar includes everything: SEOmoz pro toolset features, pricing, and resources for Pro members. 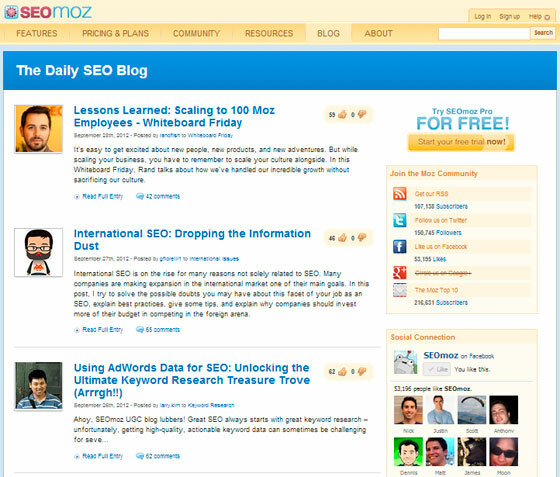 A call to action to try SEOmoz Pro for free. An invitation to join the community for free to like and comment on posts. Obviously, if they can get people to sign up for a free trial, then they are set. But by also getting people engaged in the community with registration, they are capturing leads and making sure that one-time visitors become regular ones. 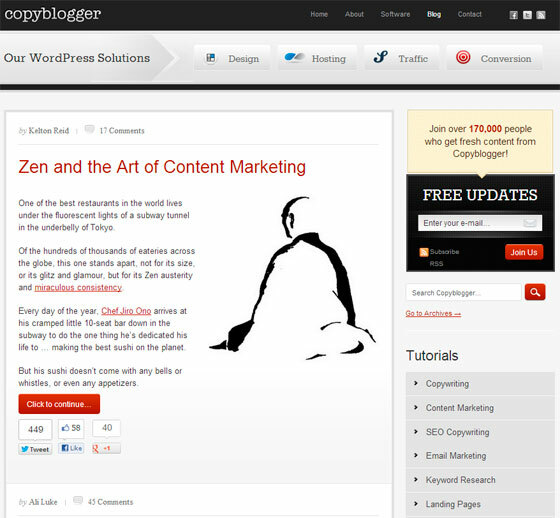 Copyblogger Media offers products made for WordPress including premium theme designs, a WordPress-optimized hosting solution, a powerful SEO plugin, and a landing page plugin. Drawing attention to Copyblogger Media products. Obtaining leads via email list signup. Demonstrating the power of their own products. The navigation menu includes a link to their software page. Before the content, there is a section that draws attention to Copyblogger’s WordPress solutions for design, hosting, SEO, and conversions. Visitors can sign up for the mailing list in the right sidebar. An introduction to StudioPress themes is shown beneath each post. The footer includes a list of their own products used for the blog including the template, hosting, and SEO plugin. A mobile-friendly design displays the same conversion elements on smartphones with the sidebar items displaying beneath the content. If you can showcase the power of your own products with your blog, then be sure your visitors notice as they are reading your content. In this case, you can see their theme design in action as well as note the speed of their website thanks to optimized hosting. Social Media Examiner began solely as a blog for expert social media content and within just a few years expanded to include conferences (both online and in-person) and a thriving forum community. Drawing attention to upcoming conferences. Encouraging people to join the Social Media Examiner Networking Clubs. The navigation bar includes links to the networking clubs and events page. The header includes a banner for the latest upcoming event with a call to action to learn more. There is an email sign up box in the sidebar for more updates plus a free marketing tutorial. Additional banners are placed in the sidebar for upcoming events. A banner for the networking club and a leaderboard of the most active networking club members is included in the sidebar. Each year, SME publishes a social media marketing industry report, a link to which is in the sidebar. It is free in exchange for an email opt-in. Visitors can sign up for email updates at the end of each blog post. Social Media Examiner demonstrates their expertise in social media marketing for small businesses on a daily basis with their articles. Their conferences continue offering quality social media education, so it’s a perfect fit to advertise to their blog readers and mailing list subscribers. 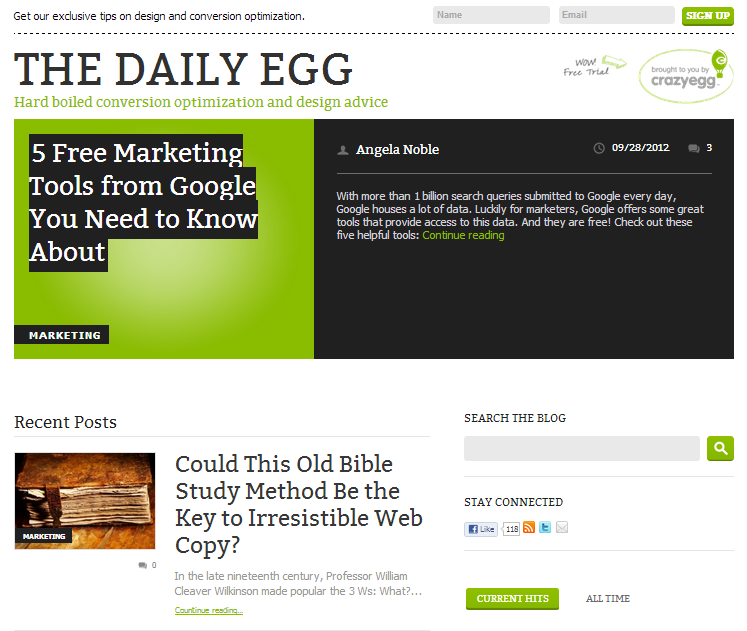 Crazy Egg offers heatmap analytics for your website so you can see the areas people are most likely to interact with. This can help increase conversions dramatically if you place high-converting elements in those hotspots. Drawing attention to the their heatmap software. At the top of the page, visitors can sign up for email updates. A graphic in the header invites visitors to a free trial of the heatmap software. A call to action in the sidebar invites visitors to a free trial that includes the benefit of increasing conversions and revenue in 30 days with heatmap analytics. As you scroll down the blog, this sidebar ad stays at the top of the page. Visitors can sign up for newsletters at the end of each blog post. As you might notice, the common theme of the blogs here is to make sure visitors know that the company has a product to offer, what the product can do for them, and how they can get started with it easily. Drawing attention to the Unbounce Landing Page software. Generating leads with free content. 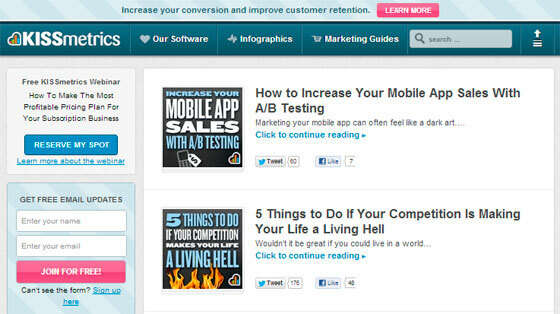 The bright red strip at the top draws your attention to new product features for the Unbounce Landing Pages product. This message is created by Hello Bar, a nifty add on that allows you to direct visitors to your most important content, perform A/B testing, and analyze click through statistics. The main navigation menu from the website is also displayed on the blog so visitors can learn more about the product, benefits, features, pricing, and even a 1-800 number to contact Unbounce. The sidebar includes a call to action to start a free 30-day trial of Unbounce and a simple email opt-in to subscribe to the blog. Between the posts and the footer, there is another call to action to sign up for Unbounce. At the end of each post is a footer promoting a free ebook. In order to download it, you can send a tweet or enter your email address giving Unbounce either a social mention or a new lead in exchange for valuable content. Altogether, it’s hard to ignore tie-ins to the Unbounce product throughout the blog. If your goal is to get more people to try your product, then you have to make sure that anyone who arrives on your blog can’t miss the fact that you have a product and can easily figure out what your product is and how it could help them. 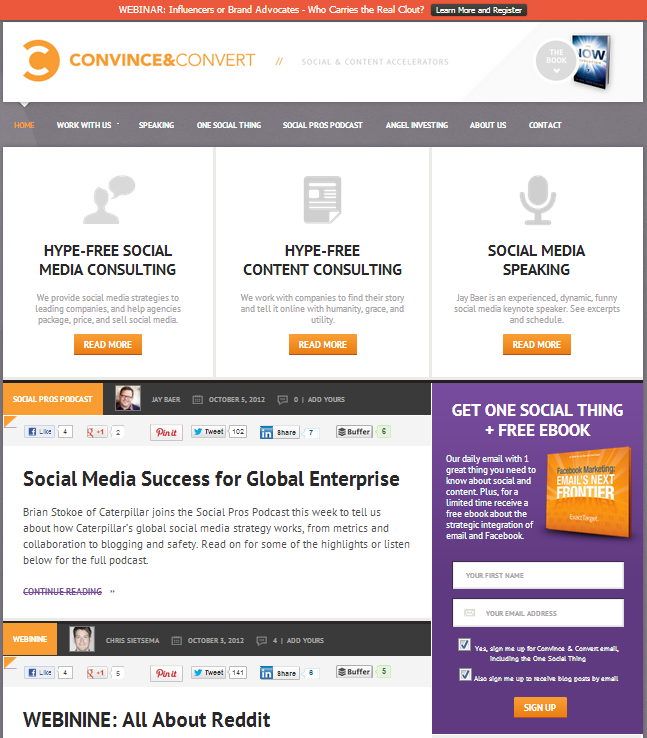 Convince & Convert offers social media and content consulting services. Jay Baer, president of Convince & Convert, is also a social media speaker and author. Drawing attention to consulting services and speaking. Obtaining leads via email signup. The red strip at the top of the blog encourages visitors to learn more about an upcoming webinar and register. This message is powered by Hello Bar. The header includes an image to take visitors to The Now Revolution book information website. 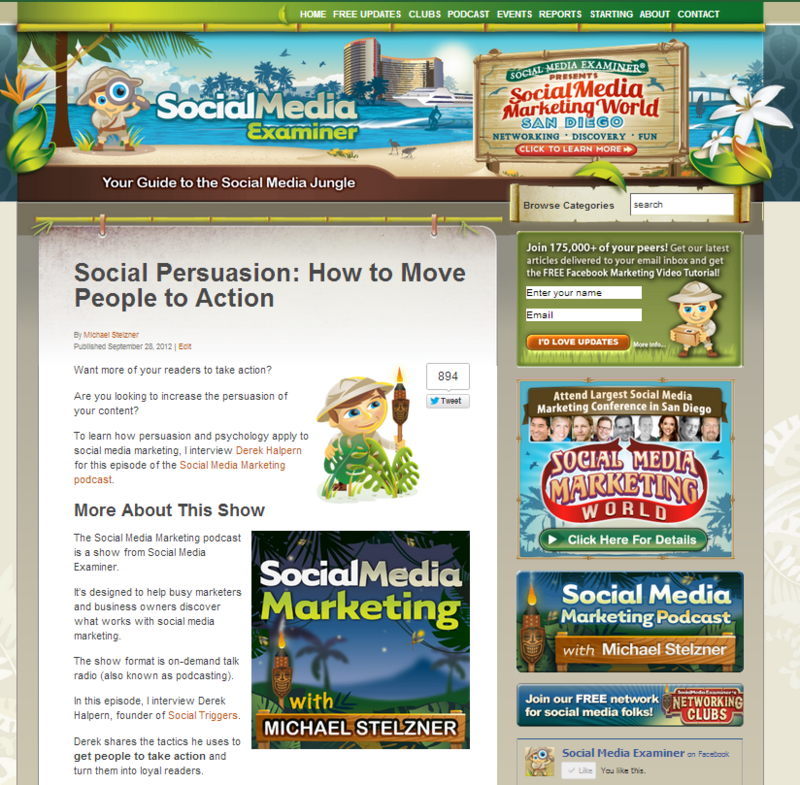 The navigation menu includes links to working with Convince & Convert and speaking. Beneath the navigation bar there are clear sections highlighting consulting services offered by Convince & Convert as well as Jay Baer’s speaking availability. The sidebar has a nice mailing list signup offering a free eBook. There is also a YouTube video in the sidebar showing Jay Baer delivering a keynote speech with a link below to learn more about his speaking schedule. Convince & Convert does a great job at making sure both their company’s consulting services and president’s speaking schedule and book sales are presented in a seamless manner to visitors of their blog. The best part? Speaking at events is also a killer way to convert conference goers into consulting clients. KISSmetrics is an analytics software that helps you increase conversions and customer retention, hence it makes sense that their blog is another good example of conversion-oriented design. Drawing attention to the KISSmetrics software. Getting attendees to the webinar as part of the sales funnel. The branded strip at the top entices people to learn more about KISSmetrics software by offering two results: increasing conversions and improving customer retention. This message is created by Hello Bar. The navigation menu offers visitors three options including one to check out their software. There is a call to action in the left sidebar to reserve a spot in an upcoming webinar. Visitors can sign up for email updates quickly using the form in the sidebar. The conversion areas are fixed in the design so that when people scroll down to read the post, they can still see the bar at the top, navigation bar, and sidebar items. At the end of each post, there is a banner for a free trial of the KISSmetrics software, also highlighting benefits like getting to know your customers and your business. Just like Unbounce, it’s almost impossible to miss out on the fact that KISSmetrics is not just a blog full of great information, but one that leads to a powerful analytics tool. Make your products and services known to your blog’s visitors, from your blog’s main homepage down to individual posts. Include strong calls to action that are placed in high converting areas such as above the content and in sidebars along the content. Convey the benefits of your products and services along with your calls to action when possible. Capture leads via mailing lists, newsletters, webinars, and free products. Encourage visitors to return to be a part of your community or at least subscribe to your articles. With a great design, clear presentation of your products and services, strong calls to action, and lead-capturing opt-in forms, your blog will become a huge revenue generating asset to your business.